This post has been a long time in the making – mostly because of what had become a very hectic schedule for a time – but now that things have calmed down a bit, I thought I’d share some work of some very talented artists, who have chosen to take a bash at some of my designs….. After all the hard work that goes into writing, photographing and publishing a tutorial, nothing is more gratifying and flattering than to get photos from fellow artists, who have chosen my designs to create with…… It is why I do what I do and makes all the hard work well worth it…. 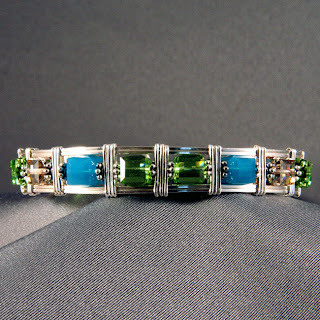 I love her color choices, and in Sterling, she created a stunning bracelet. 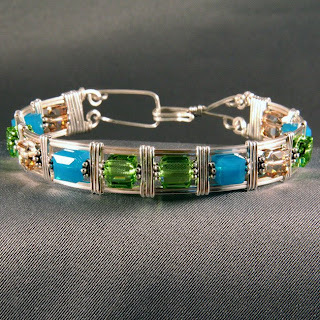 She modified the clasp a bit to better suit her needs, and all in all did a wonderful job. 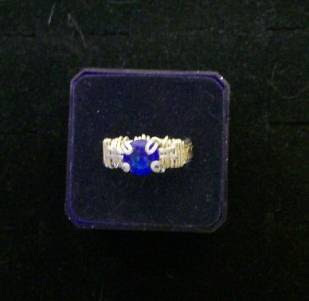 She recently purchased my Fancy Band Prong Ring Tutorial, and I can’t wait to see where she takes it to. 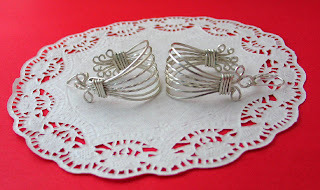 My dear friend Marika, chose my Antique Style All Wire Earrings Tutorial, and created a wonderfully vintage looking pair of earrings in Sterling Silver…..
Marika’s wire wrapping skills are growing in leaps and bounds, and she has lots of wonderful pieces in her store on Dawanda. 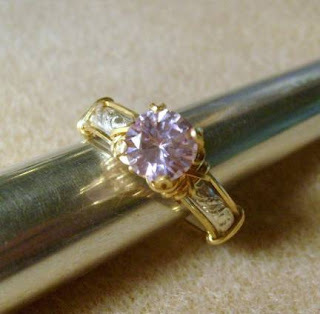 Fancy Band Prong Ring Tutorial. 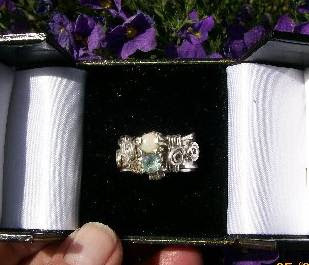 After her first ring, she went to town, and tried her hand at a double stone ring similar to one shown in my tutorial. I think she did a wonderful job…. You can visit Karlene at Celtic Gardens Creations. .And lastly, but certainly not least is Shi . 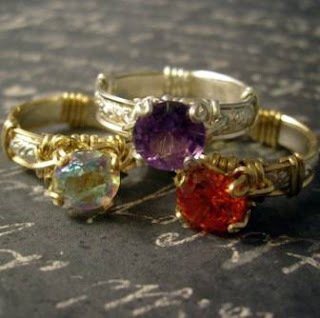 She also fell in love with my Fancy Band Ring Tutorial, and fell hard :)…. 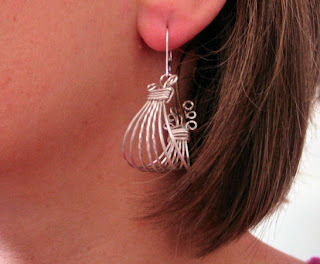 This is the first one that she did and featured on her blog. I can tell you , there is never any better compliments, than when a fellow artist falls in love with your design, and creates such beautiful pieces. 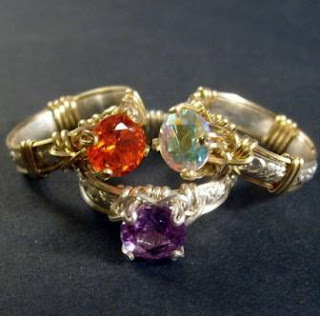 You can visit Shi at her Etsy Store ShiJewels , for these and other fabulous goodies. I hope you’ve enjoyed seeing these wonderful creations from some of my fellow artists, as much as I have enjoyed sharing them….. If you’re interested in learning and creating your own versions of my designs, please visit my shop on Etsy. – I’ve recently added new patterns in the Complete Kit/Tutorial section.